We’ll meet up and spend a bit of time getting to know each other better. 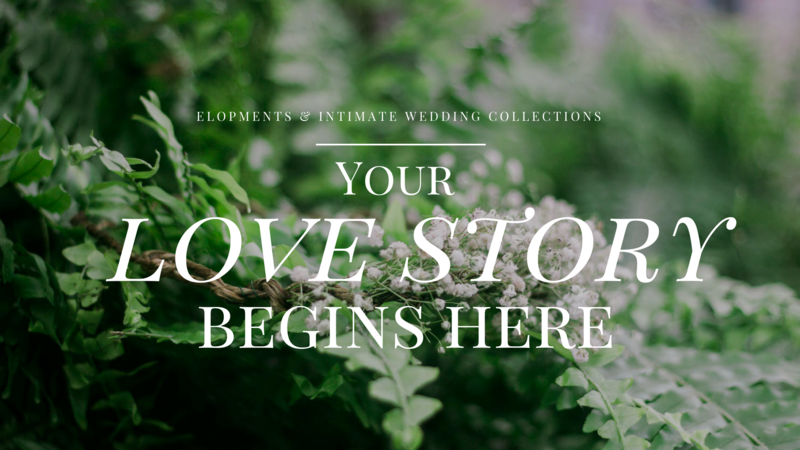 Think of this as a no obligation time, to talk about your wedding plans, and go over what collection fits you best. We’ll also go over a few details to choose the best timeline for your portraits, to ensure the day and hour picked is best for weather and lighting. This is the First time we will have you two together behind the camera and it is a great time to get those “nerves” out! This time together is vitally helpful as if helps me learn what works best for you! It will give the both of you time to see what you like, let loose, and have a good time making some memories! 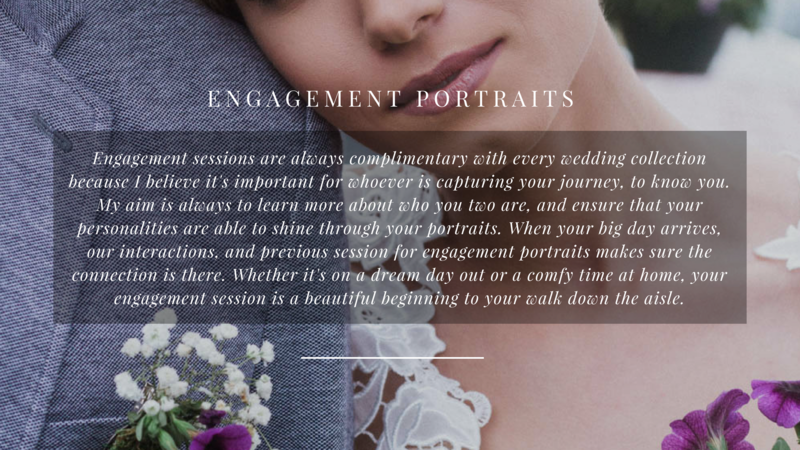 Included with every engagement session is a reveal where we sit down, and go through a slideshow of your images and decide what works for you (interactive guest book with your images, save the dates, etc). I will be there for up to the specified amount of coverage. If you need more, no problem! If you think you’ll need less, contact us to make a collection that fits your timeline. On the day of, we’ll be taking photos and helping you preserve precious memories. We’ll also help hold your dress, pass your grandma a tissue, and be present for you on your big day. I offer a few different collections for weddings, with each varying in coverage and heirlooms included. A la carte options also are available. You are making memories that we both want to last forever and in order for that to happen, you must remain present during your day. Meaning that I step back and give you the space you need to LIVE in your moments, allowing you to tell your own story with genuine emotions. My entire purpose on the day you are wed is to document every meaningful occurrence between you and your beloved, and my documentary style consisting of non-posed photographs beautifully does that. For bridal portraits, to prevent anyone from feeling awkward, I will give easy to understand directions on posing. Although these will be posed, the goal is to have an outcome that shows just how much fun, love, and happiness there is. We Are Ready to Book. What's Next? Great! I’m glad that you want to work together. 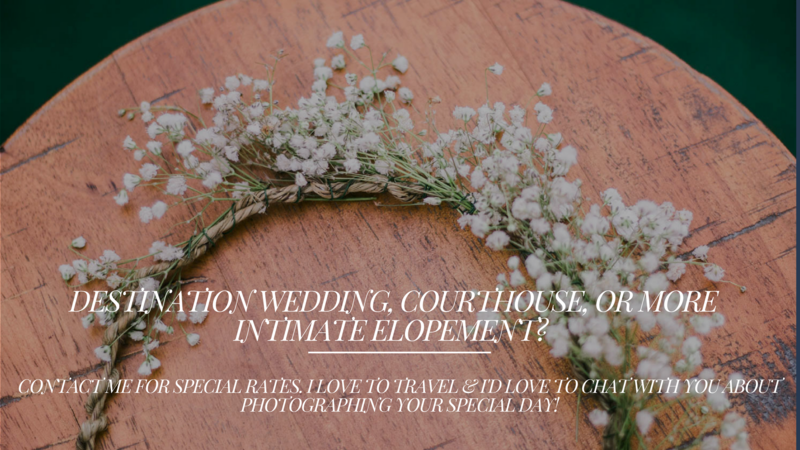 Securing your dates for both your engagement session as well as your wedding date requires a non-refundable retainer (30% of total) and necessary signed documents. Dates are booked via first come first serve – determined by signed contracts. Once you’re booked, we’ll get started on planning your engagement session! Travel costs only apply to weddings with locations that require a flight or are more than 3 hours away from Houston, Tx. Destination weddings will be customized depending on the specifics of your location, but typically requires a two night hotel stay and transportation.